“No more heroes,” Travis Touchdown says to himself sitting at a bare wood table in a dark room and quietly wrestling with his absurd, broken, pyrotechnic life. The assassin — last seen working odd jobs, collecting pervy dolls, and slicing up violent anime freaks almost 10 years ago in Nintendo Wii’s No More Heroes 2: Desperate Struggle — has just killed his childhood hero, the star of a fictional 8-bit video game. 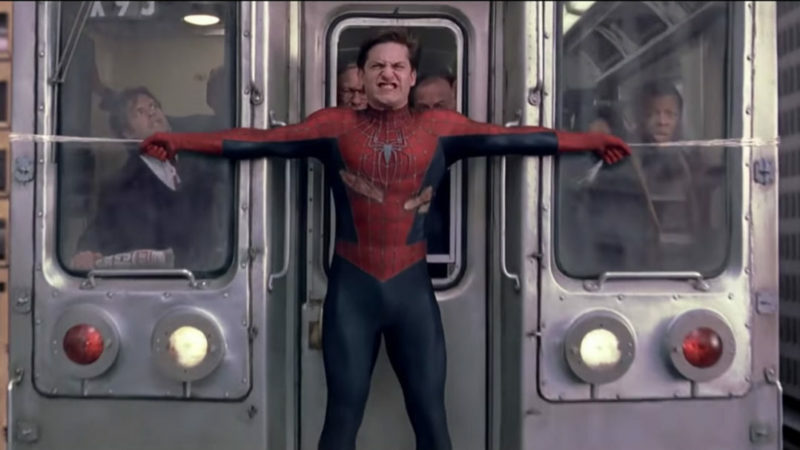 He didn’t want to do it. But when Travis gets sucked into a cursed video game console at the beginning of Travis Strikes Again: No More Heroes, he has no choice but to hack his way through the game, lightsaber akimbo as he bonks skull-headed dudes in motion capture suits. That is how video games work: you play to the end given the conditions baked into the code, or you just stop playing. Where Travis’ old adventures were sardonic, joyously cynical commentaries on why people choose to keep playing games like this, Travis Strikes Again is reflective and inquisitive. Grasshopper Manufacture’s debut Switch game asks why make video games at all, especially when you risk hating your own creation. 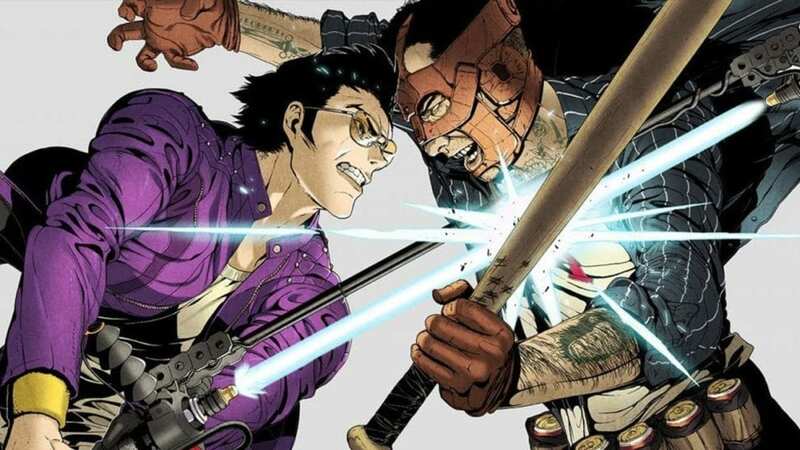 Travis Strikes Again explores and answers that question over the course of its eight-hour playtime, albeit in such an idiosyncratic manner that anyone without an intimate, almost obsessive familiarity with director Suda51’s complete oeuvre will find it incomprehensible. Delightfully daffy, pleasantly distracting, and very funny, but still incomprehensible. For those that can parse it, though, Travis Strikes Again is a strikingly personal statement as affecting as it is oblique. 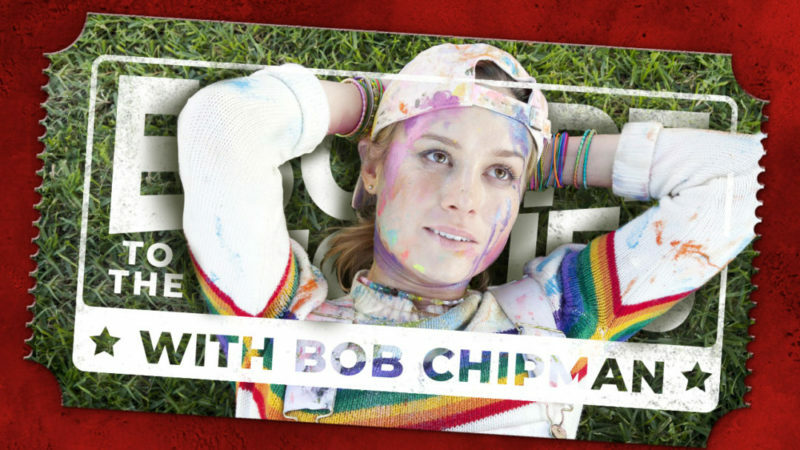 That a massive company like Nintendo agreed to distribute it at all is mystifying: this is an action game that reads like a personal diary chronicling the end of a bad year, every page filled with a mix of confessions and exhaustively laid out collage. Travis, a video game character, muttering the name of his own series while talking about having to kill, and thus replace, the sort of video game character that inspired his creation is just the tip of the metatextual iceberg. For anyone that breaks out in hives when they even read the prefix “meta,” rest assured. There is a straightforward, linear game to play through here and it’s fun, if repetitive. This is an action game that reads like a personal diary chronicling the end of a bad year, every page filled with a mix of confessions and exhaustively laid out collage. Travis and Badman — the vengeful dad of an old No More Heroes character who can be used as a co-op partner in one of the game’s seven action stages — must track down the Death Balls, the only games ever made for the mythological Death Drive Mark 2 game console created by Dr. Juvenile. Play through a Death Ball game like the PlayStation adventure game-inspired Coffee and Doughnuts, and you’re returned to Travis’ trailer park home in the “real world.” Then you have to read through another chapter of Travis Strikes Back, a mock text adventure styled like a classic, green-and-black DOS game from the mid-1980s, to retrieve the next Death Ball. 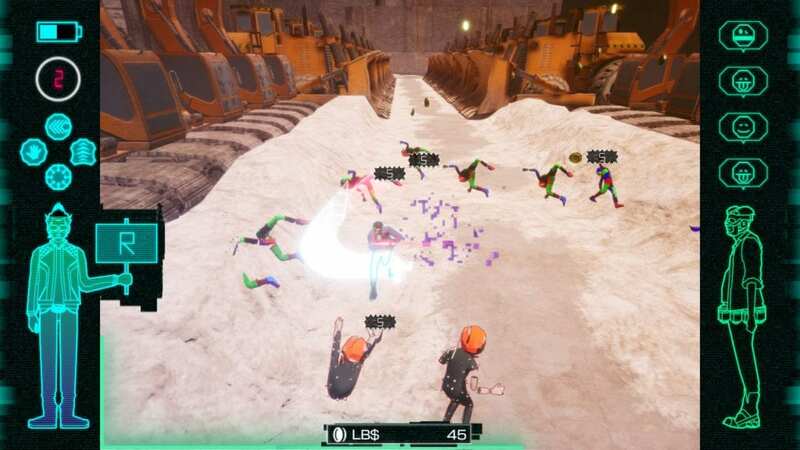 Fights are enervating, especially by the end when Travis Strikes Again is drowning you in enemy waves so thick that the screen starts to look like a particularly acidic Magic Eye painting. They can also feel tedious. Strategy is limited, and while there are plenty of special move options, there’s little incentive to experiment once you’ve found an effective combination. Pound through the enemies, fight a boss, read a text adventure chapter, do it again. Travis Strikes Again does not forget that almost all successful games rely on a loop to keep people playing. Travis has always been a surrogate for Suda51 himself. They dress the same and obsess over the same parts of popular culture (wrestling, anime, and, naturally, video games); it’s no coincidence that the figure at the center of the Grasshopper Manufacture logo morphs into Travis as the game begins. Travis’ adventure mirrors Grasshopper’s journey as a business, from diehard indie to corporate subsidiary and possibly back to true indie again, starting with Death Balls aping relics from the industry’s early heyday, up to AAA blockbusters (in an especially surprising turn), and back to small games adhering to the studio’s old “Punk’s Not Dead” credo. 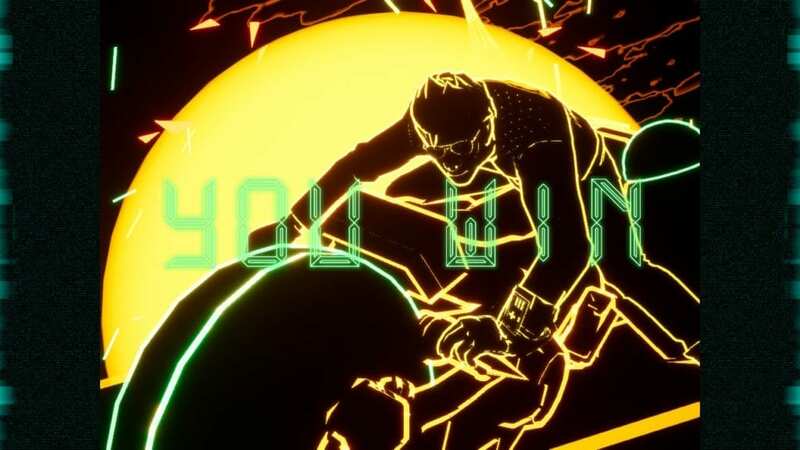 By making that self-exploration the centerpiece of Travis Strikes Again, Suda51 has produced his most gripping, visually arresting work since Killer7 on GameCube. The fundamental action might be the same in every Death Ball you collect, but every one is preceded by totally unique art. Coffee and Doughnuts starts with a bombastic CG animation sequence right out of 1995, its inhuman figures helping to recontextualize the samey action that follows. Life Is Destroy opens with a live action short; Electric Thunder Tiger II kicks off with an NES splash screen so colorfully authentic you can practically see the Geocities fan page that would have been devoted to it 15 years ago. Every new game also unlocks painstakingly designed articles about them from imaginary game magazines. Travis Strikes Again’s nature takes full form when Travis himself starts commenting on Grasshopper’s commercial failures and struggles with other game publishers — this commentary is explicit, not implicit — and running into characters from games by other developers he inspired. This is the work of an artist who made his passion into his job and is trying to fall in love with his medium all over again. Getting your groove back as a creator is hard enough to do in private, but turning the struggle into a commercial product is an almost impossible proposition. Suda51 could have turned in a game that was just a greatest hits compilation, a niche effort for fans to chew on while they waited for a proper original. Instead he tried to exorcise his personal demons by letting players slay them for entertainment. 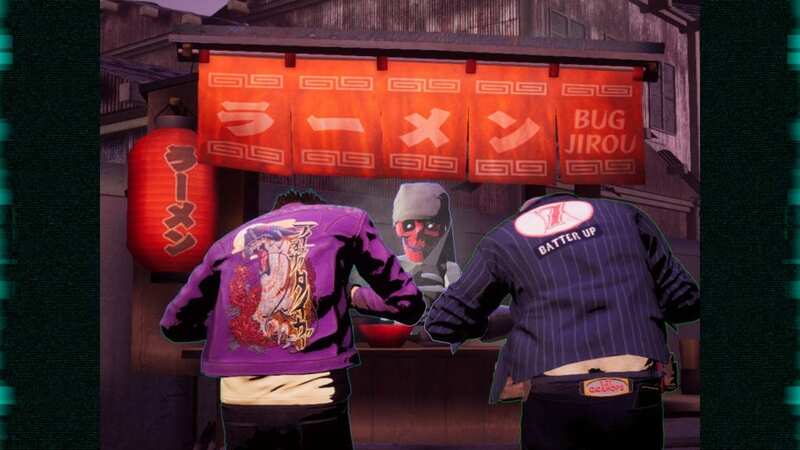 Travis Strikes Again: No More Heroes doesn’t invite you in. If you’re unfamiliar with the huge swatch of game history, Grasshopper’s catalog, or even games industry business gossip referenced within, this will come off as a less entertaining surrealist action game overshadowed by Suda51’s old work like Killer7 or even No More Heroes. Anyone that can actually speak the language of this game will be richly rewarded by the promise that there may, in fact, still be heroes out there. Travis Strikes Again is a strikingly personal statement.